A whistleblower is any employee who has reported violations of the law within their workplace, including dangerous or illegal activity. An employer that retaliates against a whistleblower may face serious legal consequences. Whistleblowers, who have faced retaliatory actions from an employer, may be entitled to legal remedies. Entitlement to these legal remedies are not just for full-time employees, but also includes part-time employees as well as interns. Under the False Claims Act, which is a federal law used to impose liability on employers who participate in fraudulent activity, you will be protected by the law from any of the retaliatory actions taken against you. A whistleblower is entitled to any relief that would make that employee whole again. This includes reinstatement of former position, double back pay, interest on the back pay, special damages, and attorney's fees and costs. If you cannot be reinstated to your former position, it is also possible to receive front pay. 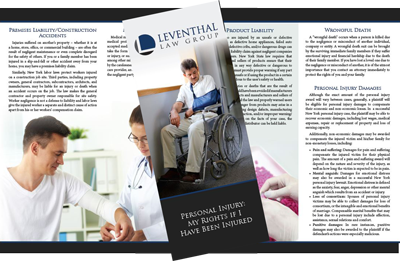 There may also be a case for special damages if you were physically threatened, which could include emotional distress and other non-economic harm resulting from retaliations.